Olivier Vernon, DL, Miami. Miami 17, Indy 10, late second quarter. Adam Vinatieri lines up for a 54-yard field goal attempt. Vernon, a rookie third-round defensive end from The U, leapt over the offensive line -- an incredibly athletic play -- and blocked the field goal try straight up in the air. Sherrick McManis, CB, and Nick Roach, LB, Chicago. Roach and McManis combined to make a great play, a touchdown-producing play to start the Bears' rout at Tennessee. As the two men on the far right of the Bears punt-rush team, Roach engaged the Titans left tackle while McManis sprinted around him and leapt in the air to block the Titans punt. Corey Wootton recovered and took it into the end zone for the first score of Chicago's 51-20 win. This was a notable play, I thought, because it doesn't happen without the teamwork of the two men. If Roach doesn't take the tackle out of the play, McManis would have gotten knocked off his path to the block. And McManis made a terrific block, enabling the touchdown. Phil Dawson, K, Cleveland. Twenty-three straight field goals, 21 of them this year, and his consecutive kicks of 32, 28, 29, 33 and 41 in a 32-minute span between the second and fourth quarters gave the Browns a 15-14 lead late against Baltimore. Dawson's an unsung player, in part because so often his kicks are in losing causes. 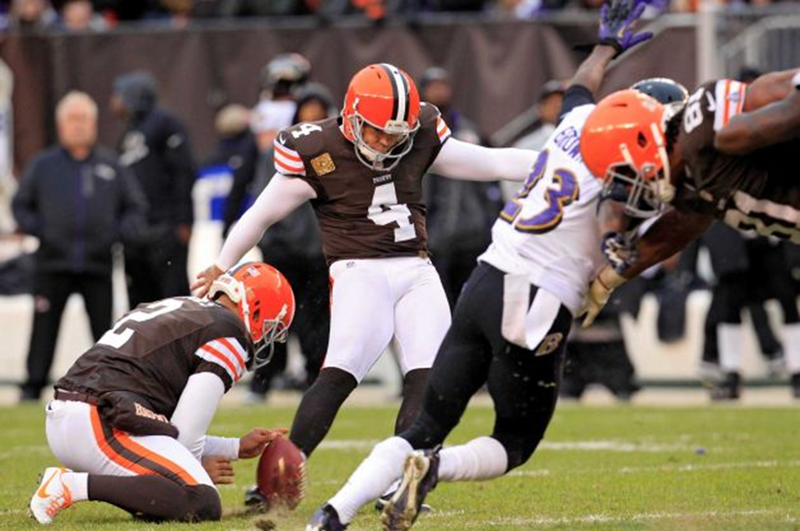 But a kick's a kick, and he did his part Sunday against a division rival that owns the Browns.